Experience a powerful smartphone that resonates with affordability and performance with the Redmi 6A smartphone. 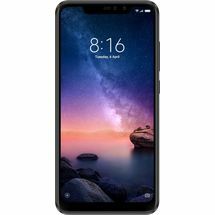 Shop At The Phone Store - Mobile Phone Shop In Bangalore for the new Redmi 6A and experience great features like 5.45-inch full screen HD+ resolution display, AI face unlock, 13MP HD primary camera, dual SIM and storage expansion and more at an attractive price. Power-packed with latest features, the Redmi 6A defines a well-equipped smartphone. You will be able to witness performance and style at your fingertips. This smartphone is designed to give you power and efficiency as it is loaded with a 2.0GHz high performance processor. The Redmi 6A aims to provide a seamless user experience with great battery life, high quality cameras, wider display and an ergonomic design. 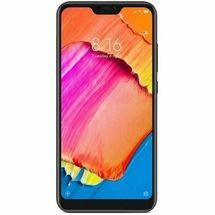 Shop online exclusively at The Phone Store - Mobile Phone Showroom for the Redmi 6A at the best price. Featuring the 12nm Helio A22 processor, the Redmi 6A can power through all your daily tasks seamlessly. The powerful chip allows a smooth gaming experience and multitasking between several apps while consuming low power. With a high-capacity 3,000 mAh full-day battery, you will be able power through your everyday tasks without worrying about running out of battery juice. Buy the Redmi 6A at Mobile Store Bangalore and experience power and more in a stylish package. With a 18:9 full screen resolution and a 5.45-inch display, the Redmi 6A will give you a better viewing experience. This smartphone is ergonomically designed to give its users a better hand feel. Shop for the latest Redmi 6A at Nearest Phone Store and experience smartphone technology like never before. Work and play with ease. However you use your phone, this processor’s 2.0GHz clock speed ensures a seamless response time, and since it’s optimized for use with MIUI 9, it keeps up the smooth-as-new experience even after heavy use. With a 13.8 cm (5.45), 18:9 HD+ screen covering 80.5% of the front surface, it's a cinema-quality experience in a slender frame that fits snugly in your grip. AI face unlock Unlock the screen with a single glance. a microSD card for data storage. Also, supports Dual VoLTE. 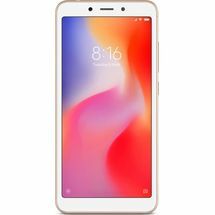 Buy Redmi 6A at The Phone Store Bangalore At 6899/- Redmi 6A Desh Ka NAYA SmartphoneBuy Redmi 6A From 6499/- Redmi Showroom - Redmi Mobile Store - Shop Redmi 6A Experience a powerful smartphone that resonates with affordability and performance with the Redmi 6A smartphone. 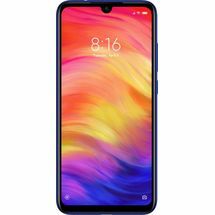 Shop At The Phone Store - Mobile Phone Shop In Bangalore for the new Redmi 6A and experience great features like 5.45-inch full screen HD+ resolution display, AI face unlock, 13MP HD primary camera, dual SIM and storage expansion and more at an attractive price. Power-packed with latest features, the Redmi 6A defines a well-equipped smartphone. You will be able to witness performance and style at your fingertips. This smartphone is designed to give you power and efficiency as it is loaded with a 2.0GHz high performance processor. The Redmi 6A aims to provide a seamless user experience with great battery life, high quality cameras, wider display and an ergonomic design. 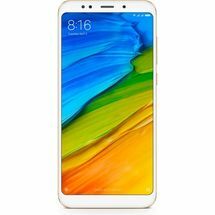 Shop online exclusively at The Phone Store - Mobile Phone Showroom for the Redmi 6A at the best price. Efficiency and More Power with the Redmi 6A Featuring the 12nm Helio A22 processor, the Redmi 6A can power through all your daily tasks seamlessly. The powerful chip allows a smooth gaming experience and multitasking between several apps while consuming low power. With a high-capacity 3,000 mAh full-day battery, you will be able power through your everyday tasks without worrying about running out of battery juice. Buy the Redmi 6A at Mobile Store Bangalore and experience power and more in a stylish package. A Wide Screen with a Full HD+ Display With a 18:9 full screen resolution and a 5.45-inch display, the Redmi 6A will give you a better viewing experience. This smartphone is ergonomically designed to give its users a better hand feel. Shop for the latest Redmi 6A at Nearest Phone Store and experience smartphone technology like never before. Capture Stunning Pictures on Your phone With a 13MP rear camera with PDAF, phase focus, low light photo enhancement, burst shooting and much more, you will be able to click photos and shoot videos in all light conditions. 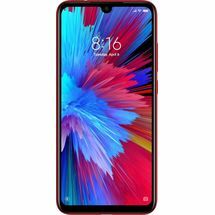 Experience entertainment like never before with the new Redmi 6A by purchasing it at Mobile Showroom NearBy 12nm high performance processor 13.8 cm (5.45) Full Screen Display13MP cameraSleek design From ₹ 6,499/- Up to 4 X 2.0GHz performance processorProduced with all-new 12nm technology 13.8cm (5.45) Full Screen DisplayBigger screen, better view 13MP cameraCapture in-motion photos with detailed quality AI face unlockUnlock with a single glance Slender DesignA thin, curved design for total holdability 2 + 1 nano and microSD card slotsDual SIM cards and storage expansion All new 12nm processor Powerful performance for a smoother experience Work and play with ease. However you use your phone, this processor’s 2.0GHz clock speed ensures a seamless response time, and since it’s optimized for use with MIUI 9, it keeps up the smooth-as-new experience even after heavy use. 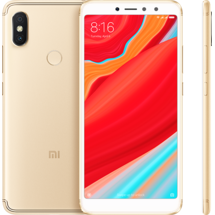 3000mAh battery Explore the world without any worry The Redmi 6A's processor is made with 12nm technology, so it's less energy intensive and optimized for compatibility with MIUI 9 for long-lasting endurance. 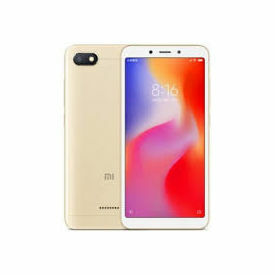 Sleek design with a 13.8 cm (5.45) Full Screen Display A slim, gripable body you won't want to let goThe Redmi 6A was designed to give a broad field of view and still feel just right in your hand. With a 13.8 cm (5.45), 18:9 HD+ screen covering 80.5% of the front surface, it's a cinema-quality experience in a slender frame that fits snugly in your grip. 13MP camera Spectacular photos at your fingertips Take great photos, effortlessly. The high-quality light sensor coupled with 13 megapixels produces like-you're-there detail, while PDAF high-speed focusing instantly locks onto subjects, even in motion. Take selfies using the front-facing camera with portait mode + Beautify and get stunning results every time. AI face unlock Unlock the screen with a single glance. The Redmi 6A comes with smarter, faster unlock capabilities. Simply lift and glance at the phone to unlock instantly. 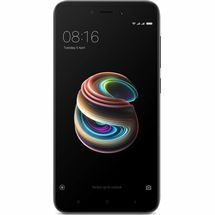 Dual nano SIM + Dedicated microSD card slot Up to 256GB expandable storageSupports simultaneous use of two SIM cards for data and phone calls anda microSD card for data storage. Also, supports Dual VoLTE.